The B-25J "Miss Mitchell" served in the 310th Bomb Group, 57th Bomb Wing of the 12th Air Force in North Africa and Italy completing over 130 missions. Its legacy of no crew fatalities during all of its missions was a rare accomplishment. Prior to taking command of the 8th Air Force in Europe in 1944, the 12th Air Force was under the command of then Brigadier General Jimmy Doolittle. 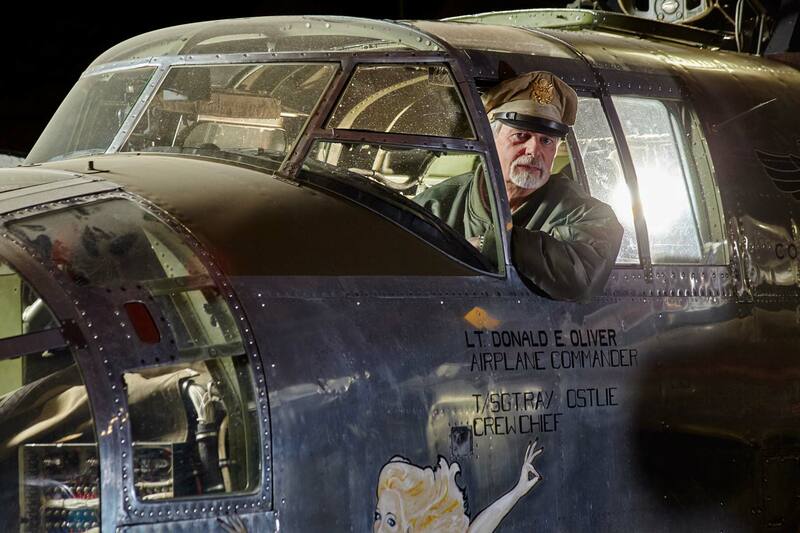 After a 12 year restoration by the Minnesota Wing of the Commemorative Air Force, Miss Mitchell took her first flight on April 18, 1992 ~ exactly 50 years to the day of the daring Doolittle raid.